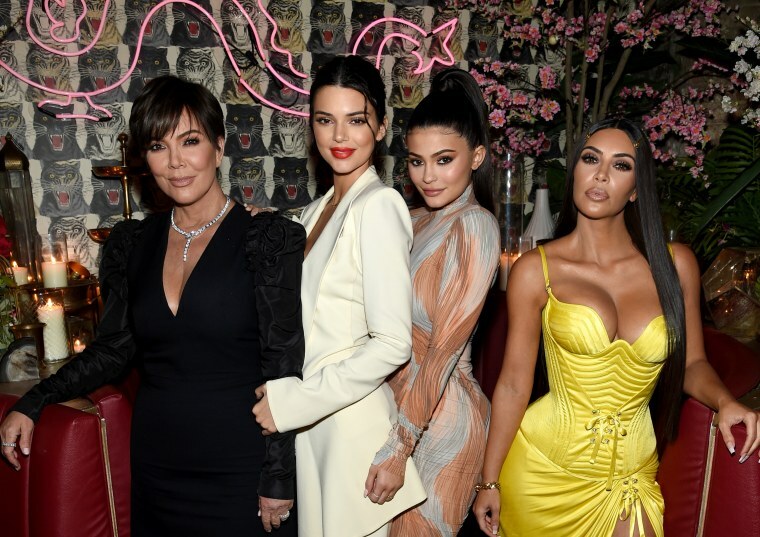 In case you missed it: The members of America’s reigning reality TV family the Kardashians, dubbed the “Kardashian industrial complex” by New York Times writer Amy Chozick, has for years hawked so-called detox teas for massive amounts of money in sponsorship contracts via social media. “So-called” because, most importantly, teas do not detox: Our bodies come complete with livers, kidneys and other bodily processes designed to do that. These products are no more than a lucrative Trojan horse masquerading as a “wellness hack,” cleverly engineered to get millions of people to abuse laxatives in hopes of looking thin. In just a few months of shrewdly crafted social media posts, “The Good Place” star Jameela Jamil has opened the eyes of millions around the globe to the corrupt and deceptive detox tea market. Thank you, Jameela! Years of accumulating research, my own and that of hundreds of other scientists, has shown beyond any semblance of a scientific doubt that detox teas and the larger market of dietary supplements sold for weight loss are deceptive snake oil. Actually, that’s at their best. At their worst, they are dangerous and sometimes life-ending toxic brews that exploit the insecurities of vulnerable consumers, especially teenage girls, who bear the brunt of the most intense body shaming pressures in our weight-obsessed culture. That mountain of data I mentioned includes many rigorous studies, such as one from the Centers for Disease Control and Prevention estimating 23,000 emergency room visits every year in the U.S. as a result of dietary supplements. More than half of these incidents in young people ages five to 19 years old are due to weight-loss and energy supplements. New research coming out from my research teams at Harvard shows that girls and young women who begin to use laxatives for weight loss vastly increase their risk of being diagnosed with an eating disorder, one of the most deadly of all psychiatric illnesses, and shows that serious, sometimes lethal, adverse events reported to the FDA are much more likely among users of weight-loss supplements than users of vitamins (also a dietary supplement). The American Academy of Pediatrics (APA) is so concerned about this phenomenon that it issued a report a few years ago warning that under no circumstances should teens use these products, no matter their weight. How did we end up with a marketplace spilling over with dangerous detox teas and other dietary supplements promising magical weight-loss properties? It’s pretty simple: In 1994, the dietary supplements industry successfully lobbied Congress to pass the Dietary Supplement Health and Education Act, defanging the FDA by prohibiting the agency from requiring even rudimentary pre-market screening for the safety or efficacy of these products. Free of any meaningful regulation, the industry ballooned from just a few thousand options on the market in 1994 to 85,000 now and counting. These products generated $43 billion in revenue in 2017 in the U.S. market alone. Without stringent oversight, unscrupulous manufacturers have been able to get away with lacing their weight-loss supplements with banned or unapproved pharmaceuticals and other chemicals, like phen-fen and DMAA, resulting in mounting cases of serious liver injury requiring transplant, heart disease, strokes and even death. The lucrative market, coupled with our society’s pseudoscience-fueled mythos of weight loss, makes these products very attractive to celebrity influencers. If your fame is built around your looks, selling products that can allegedly achieve the same aesthetic is a capitalist no-brainer. To be honest, though, I have to wonder whether the Kardashians are being unfairly singled out here because they are women, albeit unfathomably famous ones. After all, they don’t manufacture detox teas. There are many very wealthy but relatively unknown men in the shadows masterminding the industry’s exponential growth. And of course, as some devoted fans argue, don’t consumers have a responsibility to do their own due diligence? Fair enough. Any consumer with internet access should be able to find in under 60 seconds a plethora of stark warnings and terrifying tales tied to weight-loss supplements. Whether the Kardashians are malicious manipulators or simply scapegoats is not really the point. Because it’s no longer just Jamil, the APA, or liver-transplant surgeons who are concerned about these products. Earlier this year, Rep. Kay Khan filed a bill in the Massachusetts state legislature that would ban the sale of these products to minors in the state. Just a couple of weeks ago, New York City Councilor Mark Levine introduced a similar bill to ban the sale of detox teas and other supplements containing common laxative and appetite-suppressant ingredients to youth under 18 years. Can they do this? You bet, and health and food law luminaries like Jennifer Pomeranz at New York University have clearly shown these policy actions are well within city and state legal authority. If I’ve learned anything from the last few days of the Jamil-Kardashian celebrity brouhaha, it’s that sometimes one of the most effective ways to battle celebrity pseudoscience is with other celebrities. Jamil’s campaign is already having ripple effects. Just look at the story of Iman Hariri-kia, a brave young journalist who was flooded with gratitude on social media last month when she published in Teen Vogue a heart-wrenching personal account of her own abuse of detox tea laxatives as a teenager with an eating disorder. She has come through this experience and is no longer dependent on these products, but she will endure the resulting carnage to her digestive tract for the rest of her life. As scientists, we are taught to be steady and empirical at all times — for good reason. My point is not that all that evidence we’ve spent our careers generating is for naught. It’s just that, well, we’re often no match for a well-timed, brilliantly targeted celebrity takedown. But that takedown wouldn’t be possible without the factual evidence we’ve devoted our lives to collecting. It may be a strange alliance, but it’s working. S. Bryn Austin, ScD, is a professor at the Harvard T.H. Chan School of Public Health and Harvard Medical School. She is also the director of the strategic training initiative for the prevention of eating disorders.